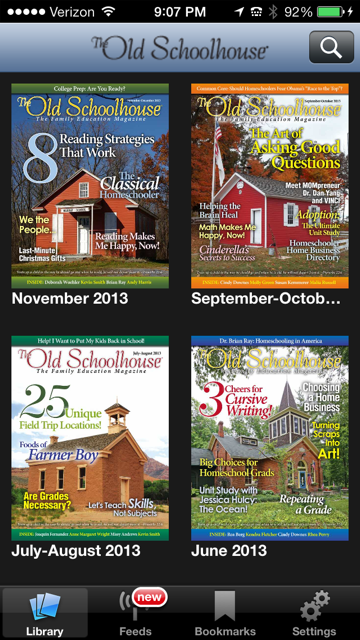 I was blessed with a Yearly Membership Option to SchoohouseTeachers.com, a divsion of The Old Schoolhouse Magazine, for being a member of the TOS Crew ~ a dry run review in preparation for the 2014 Crew year! What will you find at SchoolhouseTeachers.com? In this section, you will not only meet all of the Schoolhouse Teachers, but also the wide variety of courses they offer. Two expert teachers that stuck out to me are Tyler and Maggie Hogan from Bright Ideas Press - the company who brings us The Mystery of History (which we use and love). They teach Geography: Around the World. Another teacher that caught my eye is Sharon Watson. She is the author of our writing curriculum Jump In and The Power in Your Hands: Writing Nonfiction in High School. We love her writing curriculum! And I just discovered she has a third book: Writing Fiction in High School. And since I get asked a lot about Hebrew lessons, Evonne Mandella teaches Hands On Hebrew in a very fun way! In this section you will find everything from A to W -- Art to Writing! It contains Pre-Kindergarten through high school age ranges in all core subjects, as well as electives. 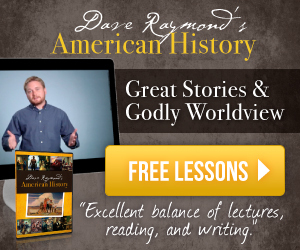 This section is focused on the family and includes general resources for your home school, from a course checklist, how to homeschool with the Charlotte Mason philosophy, a monthly reading list, and more. 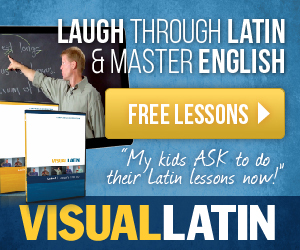 Here is where you will find daily lessons on grammar, math, writing, spelling, geography, and more. In the Library, you can visit the Teacher Archives, print a Monthly Reading List, access the Dailies Archive, find articles to encourage you, sign up for The Homeschool Minute e-newsletter, browse articles about homemaking and housekeeping, and more. This page is for you! Look around to get an idea of what this site is all about. This is where I recommend you start! According to the site tour, the heart of SchoolhouseTeachers.com is "Point. Click. Teach." The heart of the website is to offer resources at the click of a mouse in what feels, to me, very much like a homeschool co-op. The first thing I did with my subscription was download the TOS App for my iPhone and open the most recent copy of the Old Schoolhouse Magazine. I scroll through the articles in much the same way I do my reader app on my phone, clicking on the ones that catch my eye. I make my way down the list and a familiar face catches my eye - it's Kate Kessler from the Crew! I click and read through all the amazing products the Crew reviewed last year and I feel blessed to be a part of the 2014 Crew. I close the app for now, because I have much more to explore. But, I know I will love picking it up to read when I have a free moment no matter where I am, because I always have my phone with me! Next stop - Figures in History. This caught my eye when looking at the samples so I use the search box to pull this up. I click on the lesson for Hannibal, which ties in with our Ancient History. This lesson includes a high-quality printable and looks like a fun way to bring History alive, so I print it and have it ready for Malachi, my 8 year old, the next morning. Malachi did a "Complete the Conversation" between Hannibal, a Carthaginian officer and a Second Officer, in which Hannibal has to convince them that taking elephants across the Alps to attack Rome was the right strategy. After all, "What do you want me to do? Send [an] army of mice?" he wrote. LOL! And he rewrote History, adding a new ending to the story, as he thought that was what he was supposed to do (while he was making up conversation and all). This turned out to be a really great lesson! A new historical figure is offered each month, with access to the previous two months. I am excited about this series! 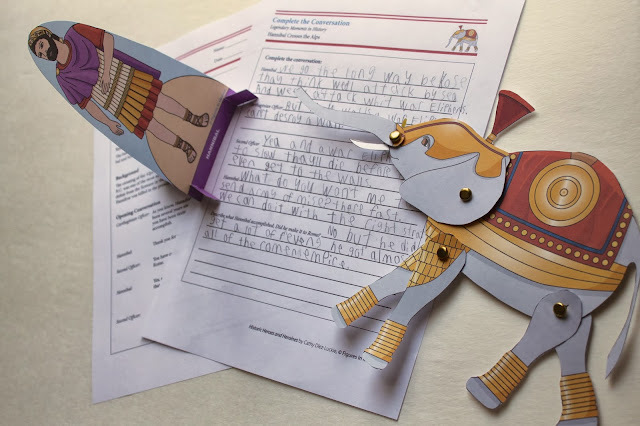 Next, I had Eliana do the Accent on Art activity from the Figures of History on Empress Theodora. This was a lesson from the sample pages on Empress Theodora. This caught my eye when I was checking out the site as it ties in with our study of the Byzantine empire, which was only briefly touched upon. 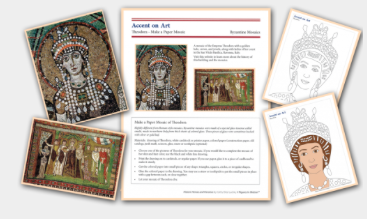 I printed the lesson, which includes a mosaic pattern for younger and older kids, information about Empress Theodora, and pictures of mosaics from the time period. This was a challenging activity (hence the squinched eyebrows - a classic look she gets when she is focusing), so I'm glad she chose the beginner mosaic template. She enjoyed it and was proud of her mosaic when we finished. (The rest of the moasic could be filled in with white and black, but I wanted her to enjoy the process, so didn't make her). I was excited to see a complete set of flash cards for the countries of the world. I thought this would be perfect for our geography study. This activity took up quite a bit of time printing, laminating and cutting, but will be worth it. I had Malachi help me put them in alphabetical order, and then we organized them by country. 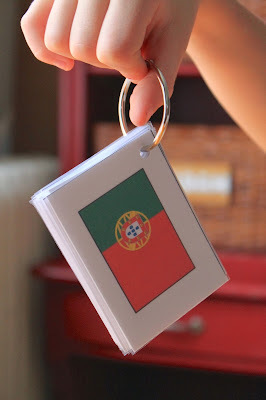 We will be memorizing them using an audio geography kit that comes with our curriculum. Alphabetizing them so we can organize them. We organized them by region and put them in envelopes so I can pull them out when needed. We will use the cards to play a memorization game. Here's how we will play. . .
1. Put them in order, country side up. 2. Listen to the geography song and become familiar with the country names and spellings. 4. Turn all the cards over, and sing them from memory. We will not only know the country names, but their flags, capital city, and language that they speak. We will do one song a week, so I hole punched them so I can put them on a ring to carry around for the week. Malachi loves country flags and I am excited about using these as a hands on accompaniment to our audio lessons. I then spent HOURS perusing through the site. There is a LOT available on the site and took me awhile to go through and really appreciate what it has to offer. SchoolhouseTeachers.com is dynamic online resource - like a homeschool co-op with teachers, lessons, and classes. It changes on a regular basis, so it is a resource that you would want to use on a regular basis, download and save any lessons that you might want to use in the future, and check in often to see what's new. While I found a lot of quality content on the site, and think it is a fabulous resource, it is not for me. These all are not for me. Are you eclectic? 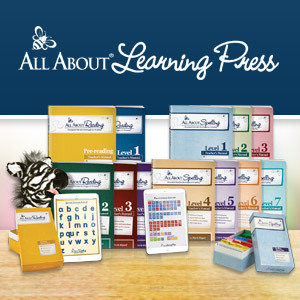 Do you like gathering curriculum from a wide range of sources? Do you like to plan and schedule? 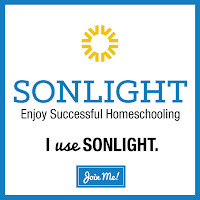 Do you love using the internet for your homeschool? Does the thought of a boxed curriculum make you shudder? Then you might like SchoohouseTeachers.com! If so, please be sure to read my Crew-mates reviews. I like to have my curriculum picked out and in my hands at least 6 months before I start, I like it to be progressive, and I like it all planned out and scheduled out for me. I like a boxed curriculum! It is safe, secure, and structured. My husband and I both are comfortable with this approach, and I feel accomplished with this approach, as I know exactly what to do and when to do it! In that, however, I do need flexibility to add or change things, but I do so in the comforts of that boxed curriculum. But, what if I did like to teach this way? I pulled up a lesson to find out. I am in between math books with my 3rd grader so I pulled up Elementary Math lessons. I liked the idea of Ten Minutes a Day math - and pulled up a lesson. I printed the 3rd grade lesson on multiplying nines and had Malachi do the lesson. The "Tens Less One Set" Strategy for 9x6, for example, would be to multiply 10x6 to get 60, and then subtract 6 to get 54. In the video, he states that this lesson is an excerpt from his e-book, which means we are somewhere in the middle (remember, I like progressive). Furthermore, the video is geared towards the teacher, and not the student. Though I do really like his process for understanding the "Tens Less One Set" Strategy, I was hoping the lessons would be directed to the student. Even if I watch the video with my child, I am still learning along with him, so in a sense I am a student too. Furthermore, under the video on the lesson page there is a key idea and a summary of the lesson, but it is not included on the student sheets and it would have been helpful to have it there, as well, so I don't have to refer back to the computer. I did not find another lesson on this page for 3rd grade, so if I like this teacher, and don't want to wait for more lessons (remember I like planning out well in advance), I will have to purchase his e-book. So, I went to Daily Math and searched the Daily Math Archives. Can I pull together enough material to get him through the rest of the school year? While, there are a lot of great worksheets here that you can print, it doesn't fit my teaching style. Yes, I love using a boxed curriculum, but I do like being able to use other resources and may use SchoolhouseTeachers.com from time to time as a supplement, but don't feel that it is a stand alone solution for homeschooling. Price: $3 the first month and $12.95 a month thereafter. There is also a Yearly Membership Option for $139 a year. One family -- one fee.